Mexican Consulates “do their job” and help those Mexican citizens here illegally. A program called Ventanillas de Salud, or Health Windows, aims to provide Mexican immigrants with basic health information, cholesterol checks and other preventive tests. It also makes referrals to U.S. hospitals, health centers and government programs where patients can get care without fear of being turned over to immigration authorities. Launched in 2003 in Los Angeles and San Diego, the Ventanillas program is currently operating in 11 cities, including Chicago and Houston, and the goal is to have a version in all 47 Mexican consulates around the country. But critics say that illegal immigrants are already an unchecked drain on the public healthcare system and that such programs will only allow them to reap even more benefits. Putting aside my belief in more open borders and general support for the amnesty bill moving through Washington, I’m pretty unnerved by things like this. 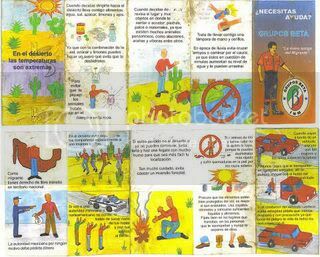 The Mexican government has huge motives to promote illegal immigration and keep its citizens here in the U.S. It is stunning that Mexico’s prime export is workers. More than 20 billion dollars flows back into Mexico each year as remittances. And I guarantee as long as the Mexican government continues to promote the exportation of its citizens, their economy will never become self sustainable. These remittances aren’t a stepping stone. They’re a crutch Mexico is going to take a long time to get itself off of. The Mexican government has screwed over their own people and the United States by setting up this sort of cycle. 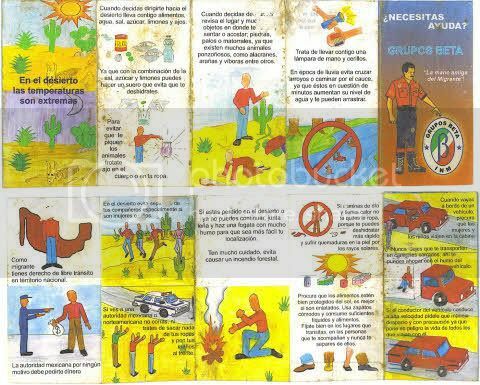 A Mexican Government Brochure On How To Sneak Into The U.S. Helping illegals sneak into the U.S., handing them ID cards to help them find illegal work, and more. This basic circumventing and flouting of American law is acceptable, how? I know the Mexico – U.S. relationship is a little unique, but where else in the industrialized world would this stand? The Mexican government has basically decided its best export is its own citizens and be damned if the U.S. wants to buy that or not. I’m all for expanding legal immigration, but the U.S. has the right to control its own borders and has a right for other countries to respect that. No matter how insignificant you think the strain on public services is, clearly illegals use resources here. Including health care resources. They absolutely contribute to the cost of health care in this country. And now they’ll use even more under this plan.